Panathinaikos Athens survived a big fourth-quarter scare before edging Brose Baskets Bamberg 76-73 at OAKA in the Greek capital on Friday night. The win improved the Greens to 4-2 and a share of third place in Group E, while Bamberg remains winless in the Top 16. 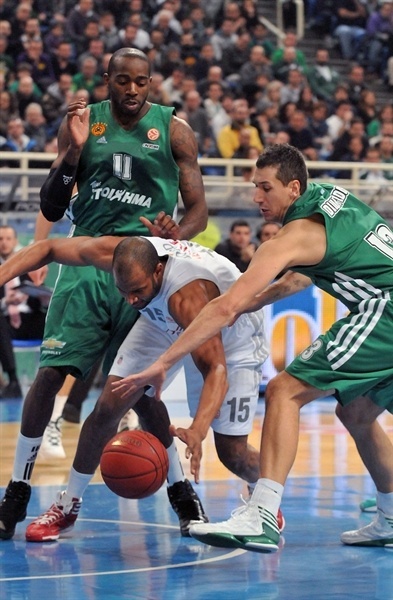 Panathinaikos led for most of the night, but the lead never reached double digits. After the hosts made it 51-42 near the end of the third quarter, Bamberg answered with a 0-7 run to end the third and then took the lead midway through the fourth quarter. 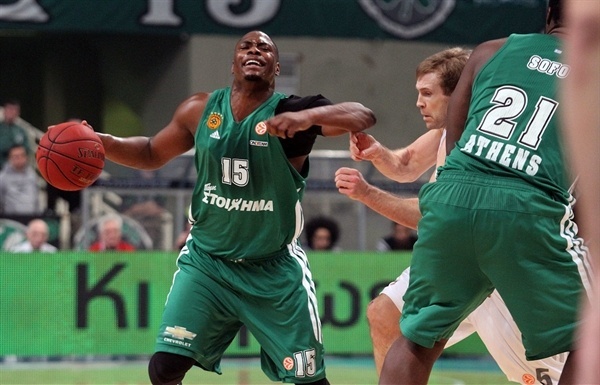 However, Dimitris Diamantidis took matters in his own hands, assisting and scoring to put the Greens in front, before free throws from Marcus Banks and Jonas Maciulis sealed the win. Michael Bramos netted 16 points for the victors, while Lasme had with 15 points plus 9 rebounds. 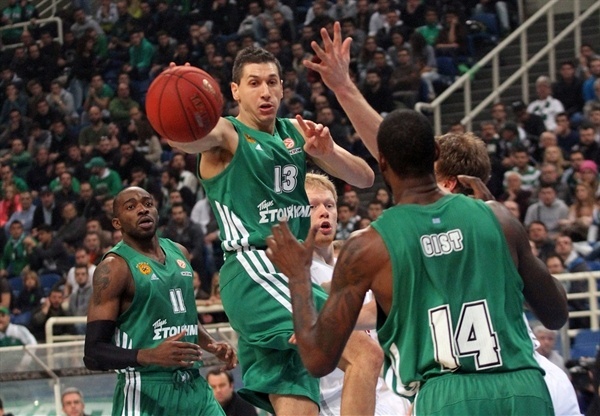 Banks finished with 13 points, and Diamantidis dished out 9 assists along with scoring 7 points and grabbing 5 rebounds. Bostjan Nachbar came off the bench and scored 11 of his 16 points in the first half for the German champs. Sharrod Ford amassed 15 points and career-high 14 rebounds, Anton Gavel had 12 points plus 7 rebounds, and Teddy Gipson finished with 11 points in defeat. Maik Zirbes got things started with a pair of free throws, before Maciulis opened the account for Panathinaikos. While Ford, in his third start of the season, scored twice inside in a crowd for Bamberg, Diamantidis sank a triple and Roko Ukic drove the lane for an easy layup and a 7-6 lead. Lasme added couple more baskets inside for the Greens, but Bamberg regained control, 11-12, with back-to-back triples from John Goldsberry and Gavel. With leads going back-and-forth, Lasme made a layup off a slick behind-the-back pass from Diamantidis, and Bramos nailed a triple from the left corner for the hosts, but Nachbar strung together 7 points, including a jumper from close range that ended the first quarter at 19-19. 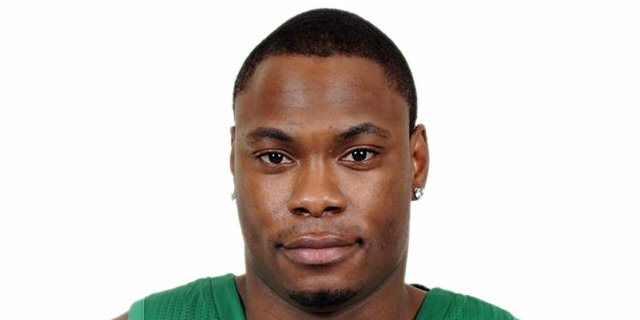 Bramos drove the baseline for a dunk to open the second quarter, and Sofoklis Schortsanitis made an uncontested dunk for Panathinaikos off another Diamantidis assist. The German champs kept the game tied, though, with Ford scoring the visitors’ first 5 points of the quarter. After Maciulis hit a shot from downtown, Karsten Tadda made a wild basket-plus-foul that put Bamberg in front, 26-27. With Bamberg trying to disrupt the hosts’ rhythm with some zone defense, Jason Kapono answered with a three-pointer that helped Panathinaikos open 32-27 advantage. Nachbar’s layup and a jumper made it a 1-point game before Lasme scored a layup for the hosts to grab a 36-33 halftime lead. Schortsanitis scored from close range at the beginning of the third quarter before Gavel sank a triple and Philipp Neumann made a layup for Bamberg. Bramos answered with a layup of his own as both teams tried to find a spark on offense. Panathinaikos went up 45-40 after Diamantidis found Banks in the right corner for an open triple, and Bramos fed Lasme for a dunk. After a Bamberg timeout, Neumann managed a put-back to end a three-minute field goal drought, but Bramos made a floater and Lasme hustled hard for a basket inside, 49-42. The margin reached 9 points with Bramos driving for a layup, but Gipson answered right back with a layup high off the glass and Nachbar hit a jumper, preventing the Greens from pulling away. Ford’s put-back dunk had Bamberg finish the quarter with a 0-7 run, making it 51-49 after three quarters. Kostas Tsartsaris and Ford traded buckets inside at the start of the fourth quarter, and Gipson’s triple tied it at 54-54. James Gist hit a three-pointer on the other end, but Gipson answered with another one from downtown and a put-back from Zirbes gave Bamberg a 57-59 advantage. 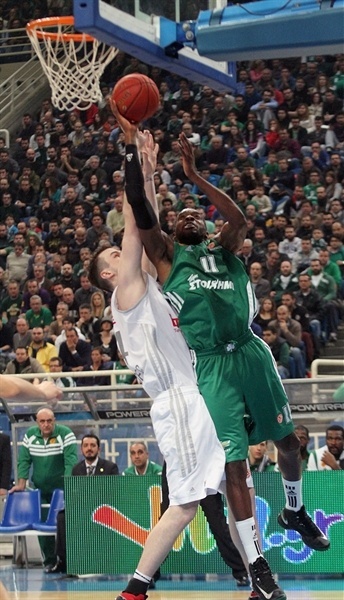 Panathinaikos regained the lead on a Bramos triple, and Diamantidis found Lasme in the lane for a monster-dunk and a 64-61 advantage. Nachbar kept Bamberg within a single point, but Diamantidis scored a driving layup and then assisted Bramos for a fastbreak layup that made it 69-63. After a timeout, Goldsberry sank a three-pointer to halve the deficit and keep Bamberg’s hopes alive. Banks on one end, and Gavel at the other, each made both free throws for 71-68, before Lasme grabbed a key offensive rebound with 28 seconds to go. Banks hit 3 of 4 free throws to keep it a two-possession game, but Bamberg kept things interesting as Ford had another one of his put-backs and Gipson made a triple for 74-73 with 4.4 seconds on the clock. Maciulis went to the foul line and made it a 3-points game before Gipson missed both of his shots from the charity stripe, ending a scare for the Greens. "We were expecting a tough game and it happened. 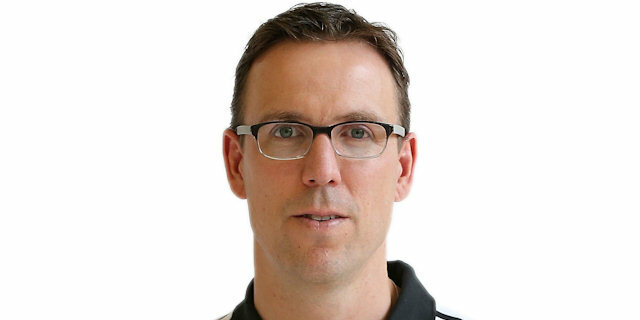 Brose Baskets is a team with good structure and they can punish every mistake of their opponents. We had some good moments and some bad moments and this is the reason we came to a thrilling end and the result was decided by the special situations. We have to learn from this lesson and avoid similar games in the future. Unfortunately sometimes there is a behavior from the players, although they get different orders. I don’t think that our performance was affected because we have to play two games in a week against archival Olympiacos. We had a lot of respect for Brose Baskets and they proved tonight that they deserve it. " "No doubt, this is the hardest way to lose a game. We are not managing the Top 16 in a proper way, but despite the defeats, I am still proud of my players, because they reacted and tried to win. We showed strong character, confidence and consistency, which allowed us to come back from a 9-point deficit. 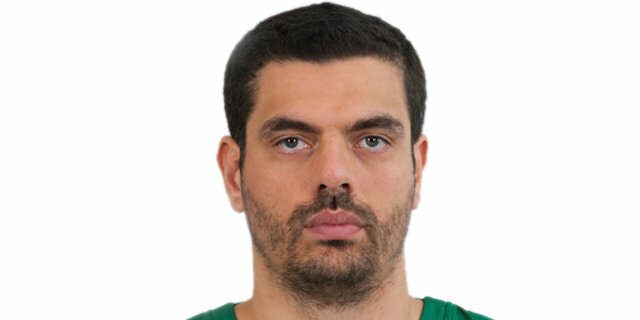 We outrebounded Panathinaikos and I think that we deserved a better chance, but it didn’t happen. 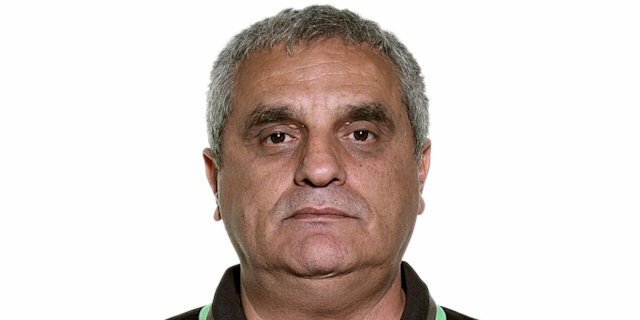 I wish a good future to Panathinaikos." "Maybe our mind is already on the upcoming big games versus Olympiacos and this is a situation which always affects the players. We didn’t have energy and suffered a lot until the last second of the match. We have to forget what happened tonight and try to improve our performance, because there is a long way in the Euroleague Top 16." "I don’t agree that we had a lack of energy and didn’t focus on the game. But sometimes the rhythm is slow and you can’t change that. This is exactly what happened tonight as we were forced to play a slow tempo game without fast breaks. We beat them in the end, but we need to work hard and play much better in the future."